It's not often that we begin a new calendar year on a Sunday, so today is a special day. 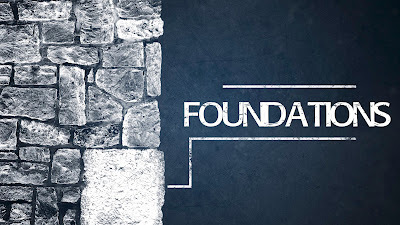 It's a new year and we're launching a new series that will take us through the end of the month of January--a series entitled Foundations. We're going to be learning together over the course of the next couple of weeks what we need to build a solid foundation for 2017. Years ago, I read a book that changed my life: The Principle of the Path by Andy Stanley. In this book, Stanley said something that was transformative it's our direction, not our intentions that determines our destination. Our direction, not our intentions, determines our destination. In other words, no matter how good my intentions might be, if I don't step in the right direction, I am going to end up where I don't want to be. We all struggle with this. We have good intentions, we might even declare those good intentions, but we step off in the wrong direction and find out later that our good intentions didn't matter at all because we were heading in the wrong direction from the very first step. It's time for most of us to make some resolutions for the New Year. I suppose I have the typical resolutions this year: lose weight, get in shape, read more, develop good goals, be a better dad, husband, son, pastor, friend... It's a long list of things I want to do better in 2017 than I did in 2016. Let's say, for the sake of argument, that I want to lose weight this year. I might have a destination in mind where I am svelte, in shape, manly and such... but if I keep eating breakfast tacos from Taco Cabana, and hamburgers from In-N-Out burger... I'm not going to get there. I believe that there's something deeper going on, however. I believe that our inability to take that first good step in the right direction is shaped by the fact that we often lack the kind of faith it takes to admit that God actually has it all under control. 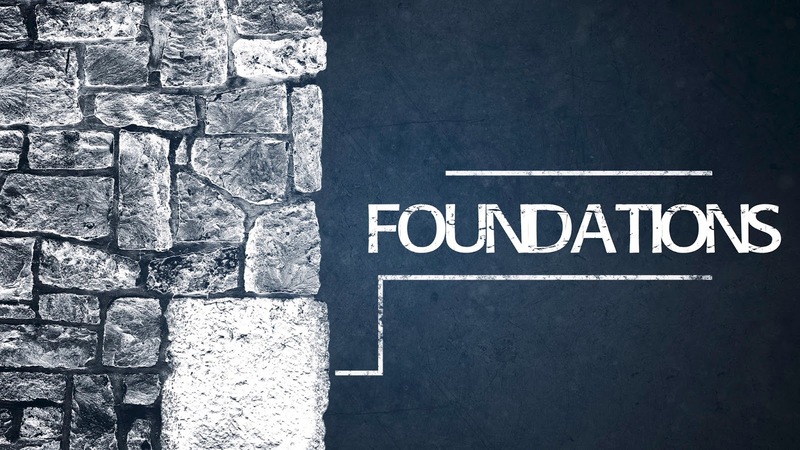 The passage of Scripture I want to share with you today is one that has been foundational in my life, and I believe it's the perfect foundational text for our discussion today about foundational faith. Jeremiah 29:10-12. That middle verse--that's the one that everyone seems to know, isn't it? But verse 11 is surrounded by other verses, and those verses are surrounded by an historical context that we need to unpack if we're going to see how foundational this passage can be for us. The year that this part of Jeremiah represents is somewhere around the year 587--around the time of the destruction of Jerusalem and the Temple by the Babylonian king Nebuchadnezzar. The Babylonians had conquered the kingdom of Judah, which contained the city of Jerusalem, and they took thousands upon thousands of Hebrew people into exile in 598, essentially as hostages. When king Zedekiah rebelled in 587 and entered into an alliance with the Egyptians against the Babylonians, Nebuchadnezzar travelled south, defeated the Egyptians and then headed back north to Jerusalem which he destroyed, along wth the Temple. The prophet Jeremiah speaks the word of God to the people who are living in exile in Babylon at this point. He tells them to settle in, to plant vineyards, and to do their best to flourish as citizens of Babylon for a period of 70 years, which represents a full lifetime. In other words, they were going to have a period of waiting and surviving in a grim new world with no immediate relief. But, Jeremiah is quick to point out, Yahweh will keep his promises. There is a long term plan here that is not thwarted by historical circumstances. There is a future ahead of the Hebrew people that refutes any despair. This is the kind of thing that even in our post-post modern mindset we don't expect. It's the opposite of what we expect, in fact. We might say that God is good all the time, all the time God is good, but we often act like God is angry all the time, all the time God is angry. We look around at our circumstances, the difficulties we face, the dark, grim moments and we think that we've either done something wrong or God has decided to let us twist in the wind. It's not easy to step out in faith sometimes, especially when the way is unclear. But I read something this week that I think helps us understand this more fully. Ed Whitlock is 85 years old and he runs marathons. Not only does Ed run marathons at 85 years-old, Ed also happens to run sub-four hour marathons, which is incredibly fast for any human being, much less an 85 year-old one. When asked how he manages to pull this off, Whitlock said, "I believe people can do far more than they think they can. You have to be idiot enough to try it." Ed's quote reminded me of why I tend to miss the mark so much when it comes to my good, but often misguided intentions. My direction is off. I don't have the faith to just simply be "idiot enough to try." This reminded me of something the Apostle Paul said about what seems foolish to the outside world is actually wisdom in God's economy. What seems foolish to you, crazy to you, idiotic to you is not to God. This passage in Jeremiah teaches us that we ought to count on God to be God and pray to God to bring about God's will. In other words, we live in faith that God has our steps ordered, that our future is in God's hands, that it is all under God's control. We have to be willing to do what seems foolish--to step forward in faith--and trust. My journey with his passage of Scripture has been interesting. It's been a huge part of my life for so long. I've had this sailboat for nearly twenty years. It's travelled to every ministry job I've ever had in every office I've occupied. I used to tell people all of the time that the verse on these sails was my life verse. And then my former church got me this chair that has the verse right on it. Twenty years ago, I pulled this verse out of context. I believed that it meant all I had to do was have good intentions, to simply show up--that God was sort of obligated to do right by me because of what this verse said. There was a future out there somewhere that was not meant to harm me, so I wasn't supposed to go through hard times, I wasn't supposed to have challenges or grim, dark moments. Even though I knew better, I lived my life as though I could just keep going my own way and it was all going to be all right. Only I didn't fully realize that it's your direction, not your intentions that determine your destination. I might have had every good intention of doing what God wanted me to do, but mostly I wanted to do what I wanted to do and what I wanted to do was generally down a different path. The truth about this passage of Scripture is that you can take the verse out of context, but you can't take the context out of the verse. This is a passage for the people of God in every time and every place... people who need to know that they can trust God with their future, they can trust God to guide their steps... but if they decide to step out on their own... their destination might be different than they intended. Maybe you've been struggling to simply put all your faith in God to order your steps in this new year. You have no problem surrendering some thing, perhaps. But not the big stuff, not your money, not your relationships, or your doubts and fears. And so you keep charging off down the road, heading where you think you need to be heading only to find yourself lost, broke, alone, angry, frustrated, struggling to believe and wondering where God is. It takes faith to take the first right step in the right direction. But even when you find yourself in a place you never planned to be, trying to do things your way because you lacked the faith to trust God knew better... It's never too late to come back, to seek God's face, to pray and discover God was there all along. You might be here today and you are saying, "I don't have the faith to do what you are suggesting. The road forward is too hard..." I will share with you what Jeremiah shared with the people of Israel when he told them essentially: "I know there doesn't seem to be any end in sight... I know that there will be a lifetime of surviving in a grim new reality for some of you. But God has a long view. There is redemption ahead. The story doesn't end here." The story Jeremiah was telling wasn't just for those exiles, it was for all exiles in all times and places. The redemption ahead was for all of us, through Jesus Christ. For those of us who call ourselves Christians, we can know that because of Jesus whatever is lost, whatever is broken, whatever is left for dead, can rise from the ashes to new life. Death doesn't get the last word. The victory has been won, the Light overcame the darkness... we just need to trust that even though we don't know what tomorrow holds, we know the One who holds our tomorrows... And we will reach the destination God has in mind for us, if we have the faith to step in the right direction.